Pokémon Go has become a sensation amongst people of all ages since it was launched on July 6th. For those of you who don’t know, Pokemon Go is an app in which players move around the real world in order to catch Pokémon in the game. The game features a form of augmented reality by having Pokemon layered over the real world. Players use their phone’s camera to see where the Pokémon are and catch them. This game has become so popular because it’s able to target such a large age group by combining technology with the nostalgic game. 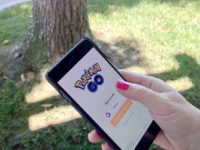 Players are required to travel to different locations to catch either Pokemon, collect special game items or battle their Pokémon against other users while connected to the internet. It would be a shame to let such an opportunity go by without taking advantage of the crowds it creates. Here are a few ways in which your hotel can become a Pokémon Go friendly hotel. First locate the closest Pokestop to your hotel. Pokémon Go locations can be very random such as a staircase or fountain on your property. Download the game and see what’s happening around your hotel. The next step would be to educate your staff about the game. Encourage them to do research on Pokémon Go so they are able to help and direct any wandering Pokémon players or hotel guests. Encourage players to catch Pokémon in the common areas of your hotel. This is done best by setting up Pokemon Go specific areas like you would with pet friendly areas. Pokemon stops should include charging stations since it takes a lot of battery life to run the app, free WiFi, so guests don’t need to use their data, and free space in which players can walk or sit without disturbing other guests. Make sure these spaces are free of any obstacles people might trip over. Advertise that you are a Pokemon Go friendly hotel and let players know about the Pokemon stop you created. The last thing that hotels should be doing to attract Pokémon Players is investing in the game lures. Lures are an in game feature that attracts Pokémon to a specific location, such as your hotel, for 30 minutes. Lures are cheap and cost about $0.60 for 30 minutes. Advertise on social media that, your hotel will be using a lure at a certain time and invite players to make their way over to catch Pokemon. Schedule lures regularly to attract more players to your hotel. Also consider offering specials for Pokemon players. Such as catching a Pokemon in our restaurant will result in a 10% discount.